The SMOK TFV8 Baby introduces a new line of high performance coils! Baby Q2 Coils feature an dual coil design. 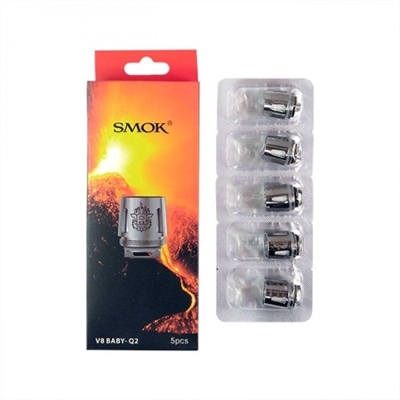 The Baby Q2 coils can rowdy and generate room-filling plumes with deep, rich flavor! Use this website for all my needs cant beat the price and shipping is always quick.